Mount rings for Airsoft scopes. 2 high rings for Airsoft guns will keep the scope high. It is suitable for scopes with large diameter front-lenses. Fits scopes and dot-sights with a 25.4mm 1 in. body. 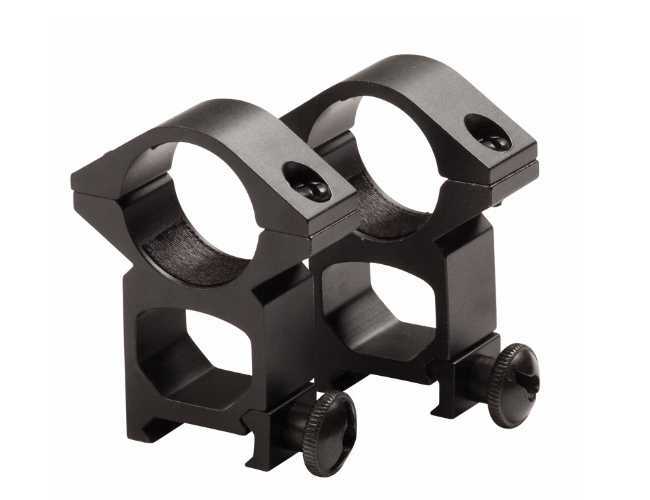 Will Mount on 21 mm rails.Height between scope and rail, 20mm (0,8 in.